Princess Tessy will be one of the speakers at the Women Economic Forum taking place in London from January 31 to February 2. The title of this year's event is "Awakening the Power Within: The Way Forward for the UK". Princess Tessy will speak on Wednesday morning as one of the guests of honour of the inaugural session. 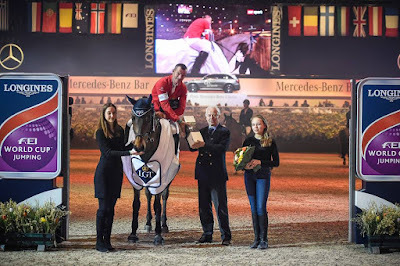 Prince Philipp, younger brother of Prince Hans-AdamII, and his granddaughter Princess Theodora were in Zurich over the weekend where they attended the Mercedes-Benz CSI Zurich, a show jumping tournament. 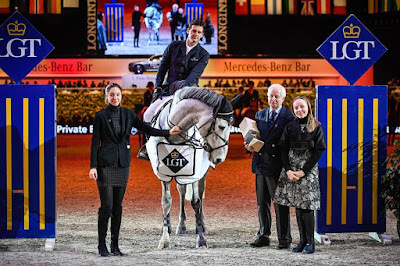 After handing out the prizes of the LGT Private Banking Challenge on Saturday, they honoured Pius Schwizer of Switzerland as the best rider of the tournament on Sunday. On Tuesday last week, Hereditary Prince Alois was among the guests of the New Year's reception of the manufacturing industry of Liechtenstein. The event, also attended by several of the Principality's politicians, included a talk by Swiss mountain climber Evelyne Binsack about her adventures at Mount Everest & Co. Volksblatt offers an extensive gallery of visuals. 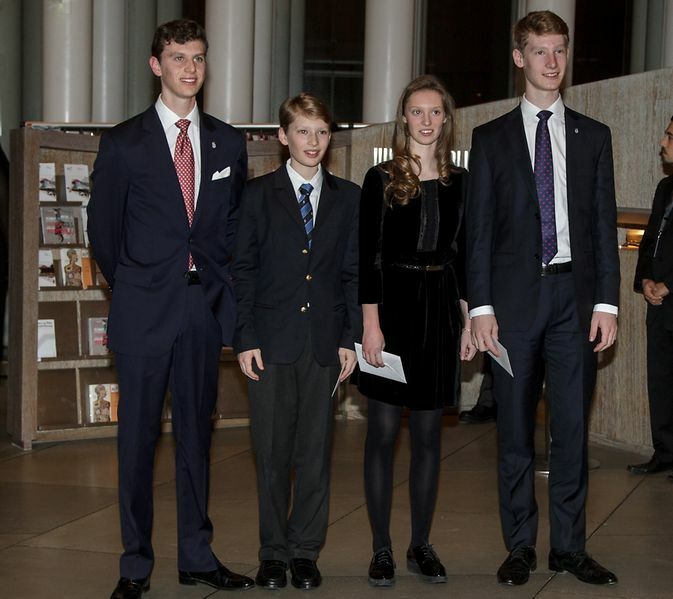 Prince Philipp and his granddaughter Princess Theodora, daughter of Prince Alexander and Princess Astrid, were in Zurich, Switzerland, earlier today, where they attended and handed out the prizes at the LGT Private Banking Challenge. The show jumping tournament is part of the Mercedes-Benz CSI Zurich. The grandfather-granddaughter-duo already did the same in 2014 and 2015. This year's challenge was won by Billy Twomey from Ireland with Ardcolum Duke, ahead of Joel Kurmann on Tarzan de Thurin (Switzerland) and Maikel Van der Vleuten on VDL Groep Quatro (Netherlands). This weekend, the 2017 Cyclo-Cross World Championship will take place in Luxembourg. Already today, Grand Duke Henri made his way to the Parc Belval in Bieles to have a look at the route that the cyclists will take this weekend. The Grand Duke was accompanied by the mayor of Sassenheim Georges Engel, UCI president Brian Cookson and championship director Eric Leyder. He also met some Luxembourgish riders to wish the good luck for the upcoming competition. Hereditary Prince Alois may have been among the attendees of the World Economic Forum in Davos about a week ago, on January 17. I say may as all I can find are four rather non-telling pictures of His Serene Highness with no one else or no place else in sight. The visuals can be found at Bigstock. 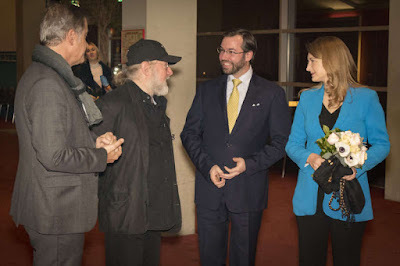 Guillaume and Stéphanie Attend the Preview of "Rusty Boys"
On the 24th, Hereditary Grand Duke Guillaume and Hereditary Grand Duchess Stéphanie attended a preview of the feature film "Rusty Boys," from Luxembourg's own Andy Bausch. The film, which is in Luxembourgish, is about a group of four retirees who decide that life in a retirement home just isn't right for them. The grand ducal duo was accompanied by director Bausch, producer Paul Thilges and actors of the movie. The Hereditary Grand Ducal couple also attended a reception after the film. Another picture if available at the cour. Princess Tessy made her first public appearance since the announcement of her separation from Prince Louis by attending the Creative Coalition's Annual Spotlight Awards hosted by the Kia Supper Suite in Park City, Utah, United States and looking pretty fab doing so. Founded in 1989 by prominent members of the creative community, The Creative Coalition is dedicated to educating, mobilising and activating its members on issues of public importance. The Spotlight Initiative Awards are a prestigious honor in the independent film area. For more pictures, have a look at Getty Images. In March, Hereditary Grand Duke Guillaume and Hereditary Grand Duchess Stéphanie will be in Austria to support Team Luxembourg at the Special Olympics Winter Games, which run from March 14-25. The couple is expected to attend from March 18-20, at locations in Graz and Schladming, where Luxembourg's athletes will be competing in the following sports: alpine skiing, cross-country skiing, snowshoeing, and stickshooting. Team Luxembourg will include 24 athletes who have been training for the Games since October. A little more information at Chronicle.lu. 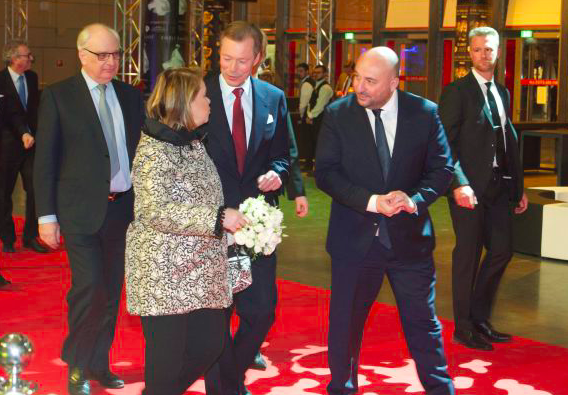 On the evening of the 20th, Grand Duke Henri and Grand Duchess Maria Teresa were in Esch-sur-Alzette for an event celebrating the 175th anniversary of the Administration des Postes, as well as the 25th anniversary of Post and Telecommunications Company (l’Entreprise des Postes et de Télécommunications). 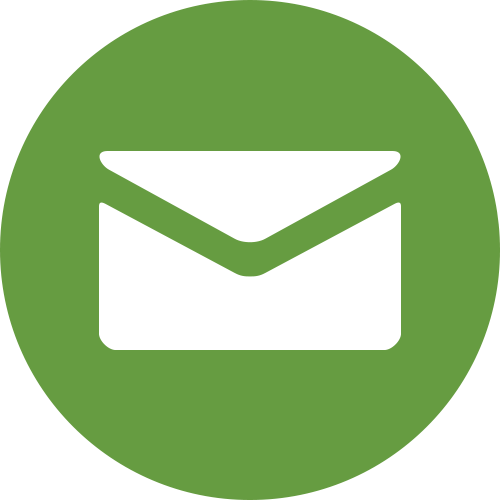 The postal service is the largest private employer in Luxembourg and provide a range of services beyond the mail. 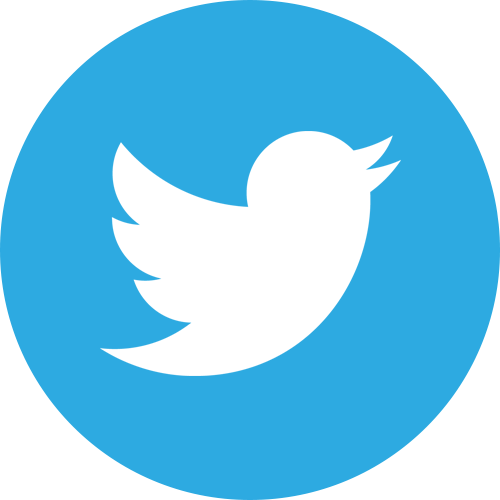 The telecommunications service also provides television, internet, and mobile phone options. The postal service employs around 2000 people, with at least 900 expected at the Friday evening festivities. Deputy Prime Minister Etienne Schneider, who also holds the role of Minister for Economy and Trade, was in attendance as well. A little more from Tageblatt. Also more photos from the Cour website. Together with the Grand Duchess I would like to congratulate you on the occasion of your inauguration as the 45th President of the United States of America. The historical ties of friendship that unite our countries mean much to all of us in Luxembourg. We wish you all the possible success for your mission as Head of State and we hope for a continued excellent transatlantic relationship. 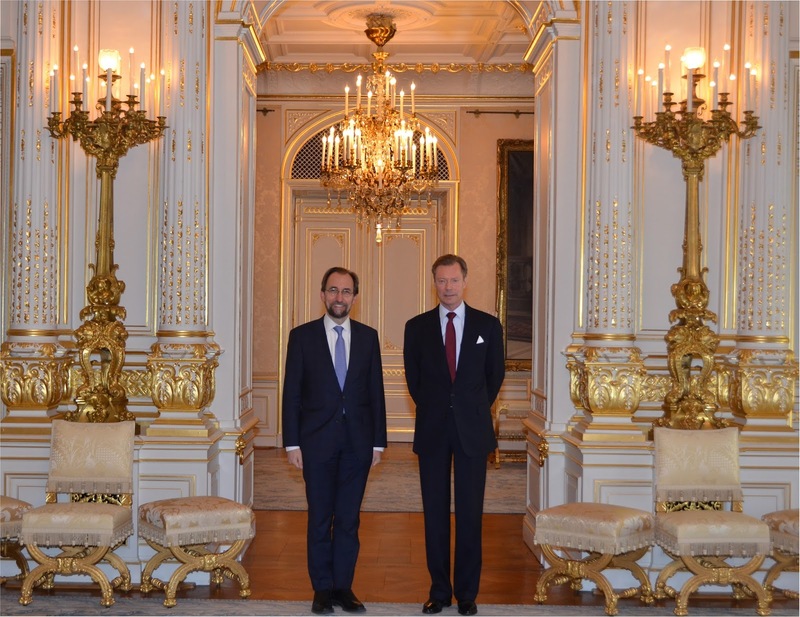 On the 20th, Grand Duke Henri received in audience Zeid Ra'ad Al Hussein, who is the current United Nations High Commissioner for Human Rights, a role he has held since September of 2014. Zeid Ra'ad Al Hussein is also a prince and a member of the Hashemite House; but, per UN policy, he does not use his title in his official role as High Commissioner. 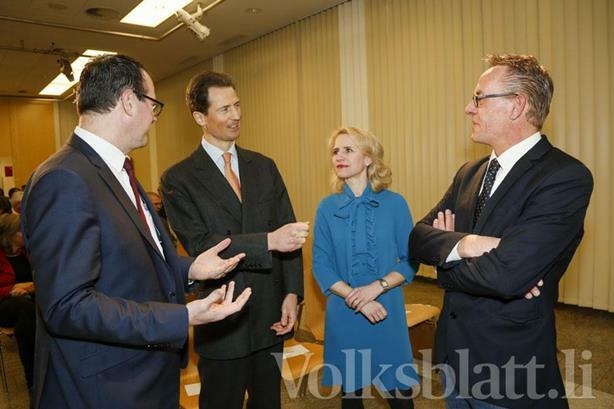 On the 18th, Hereditary Prince Alois was in Vienna to attend and speak at the New Year's Reception for the Austrian-Liechtenstein Society (ÖLI). This event marks the organization's 10-year anniversary and represents its ongoing commitment to maintaining the strong ties between the two countries. Princess Maria-Pia, who is Liechtenstein's Ambassador to Austria and the Czech Republic (and previously served as the Ambassador to Belgium and the European Union), also attended the event. 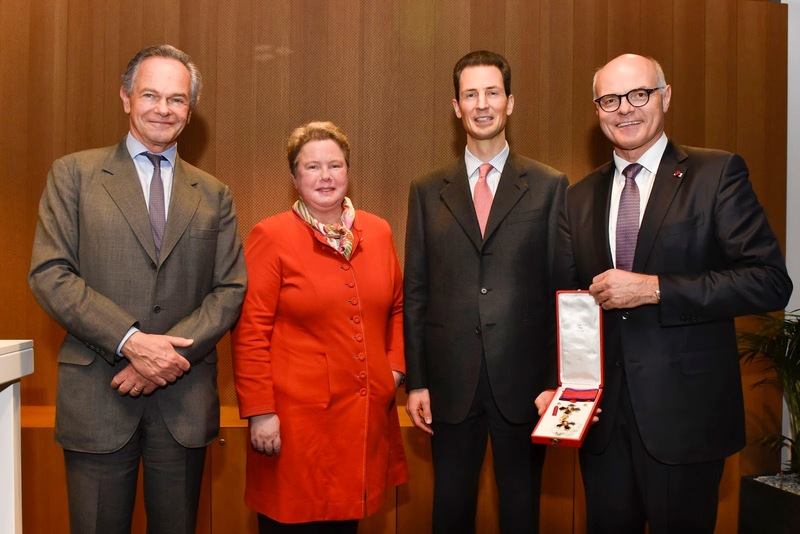 Director General Karl Stoss, who is the President of the Austrian-Liechtenstein Society, was awarded the Order of the Principality of Liechtenstein in recognition for his decade of commitment to furthering the society's goals. On the 18th, Hereditary Grand Duke Guillaume was in Strassen to visit the workshops of the Hein company, which specializes in the production of ovens for bread-making. 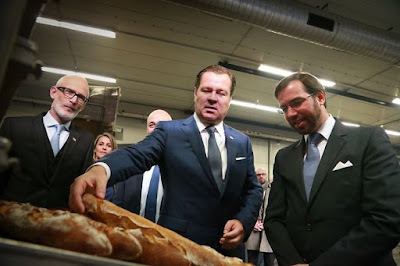 These ovens are used from Paris to New York, and the Hereditary Grand Duke was there to recognize the company's 135th anniversary. Deputy Prime Minister Etienne Schneider, who is also the Minister of the Economy, was present for the visit. A little more from Wort. On the 18th, Hereditary Prince Alois met with Petro Poroshenko in what the latter described as a "historic meeting." He also commented on the potential for an ongoing bilateral relationship, and reports of the meeting included a discussion about trade and investment opportunities between the two countries. Earlier this evening, the cour grand-ducale announced that Prince Louis and Princess Tessy would divorce after ten years of marriage and two children together. Almost immediately, we were asked about a few more details. We will address the ones regarding titles, styles and names in a moment, but first let us express how sad we are for Prince Louis, Princess Tessy, Prince Gabriel, Prince Noah and all involved. I am sure we all wish the family well during this trying time, especially the young princes. 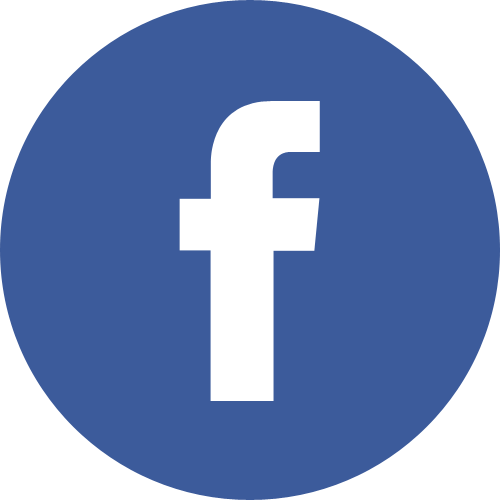 Here on Luxarazzi - and I hope everywhere else out there - we will refrain from any speculation about personal matters and respect the privacy of everyone involved. We hope that they can find the long-term happiness apart that they couldn't find together and remain friends for the sake of their sons. Prince Louis married the former - and probably future - Tessy Antony on September 29, 2006, at the parish church of Gilsdorf after a legal wedding at the palais grand-ducal. The couple had become the parents of a boy, Gabriel, about half a year earlier. He was soon followed by a brother, Noah, in September 2007. 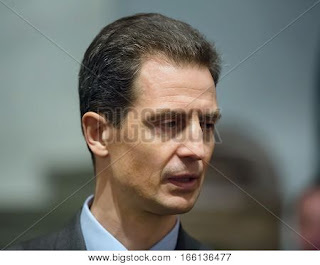 On August 22, 2006, a little more than a month before his marriage, Prince Louis renounced his succession rights to the Luxembourgish throne. The decision was made as not to give an advantage to any future children. His oldest son, Gabriel, would not have been able to inherit succession rights anyway as he was born out of wedlock. At the time, Princess Tessy was simply known as Tessy de Nassau taking the legal last name of the Grand Ducal Family. Accordingly, her sons were known as Gabriel de Nassau and Noah de Nassau. The decision of Louis' wife and son only having the last name "de Nassau" and neither title nor style wasn't without precedent in the history of the Grand Ducal Family yet a decision against the Arrêté grand-ducal of September 21, 1995, which reorganised the styles, titles and surname of the Grand Ducal Family. The decree's Article 3 states, "The Princes of Our House who have entered into a marriage without the consent of the Head of the Family, along with their spouse, bear respectively the title of Count and Countess of Nassau. The descendants of these unions are qualified in the same way." According to the 1995 decree, Prince Louis should have henceforth be known as Count Louis of Nassau and his family as Countess Tessy of Nassau and Count Gabriel of Nassau. However, Tessy was denied the usage of the title via a press release of Grand Duke Henri (while Louis remained a Prince of Luxembourg). On national day 2009, the Grand Duke made the announcement that Tessy de Nassau would be elevated to the rank of "Her Royal Highness Princess Tessy of Luxembourg". Her and Prince Louis' sons would henceforth be known as "His Royal Highness Prince Gabriel of Nassau" and "His Royal Highness Prince Noah of Nassau", just like any other grandchildren of the Grand Duke by children who are not the heir to the throne. In addition to the Grand Duke's signature, an act creating new titles of the nobility of Luxembourg also needs a countersignature by a member of the government as per Article 45 of the constitution, which says, "All provisions of the Grand Duke require the countersignature of a responsible member of the Government." Both the 1995 and 2004 decrees include the countersignatures, as do all other acts related to a title or the validation of a foreign title be they issued by Grand Duke Adolph, Grand Duchess Marie-Adélaïde, Grand Duchess Charlotte, Grand Duke Jean or Grand Duke Henri. Speaking of countersignature... In 2012, a new House Law was introduced (which actually lacks the countersignature - but that is another topic for another day...), The Bylaws - again, lacking countersignature - concerning the House Law stipulate that "In case of a legal separation, a divorce or remarriage after death, the wives [of a member of the House] lose the style and title conferred upon them." 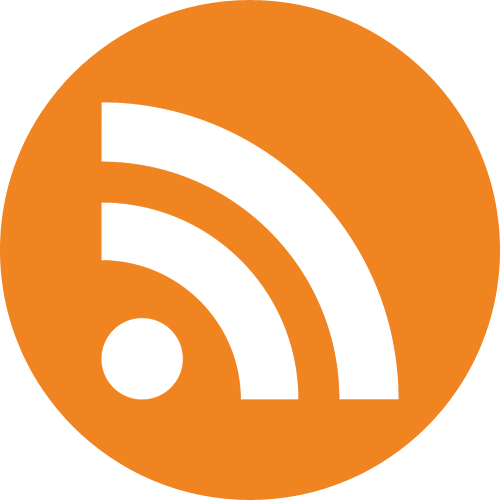 (Article 4b) The same Article also states that "The use or the conferral of a style or title in the individual case cannot deduce either rights from the membership of the House or Family or consent to the marriage." You would be right in thinking now that Princess Tessy will soon cease to be a princess and become Tessy Antony again, as she was known prior her marriage. However... This wouldn't be the Grand Ducal Family if there wasn't a twist to it: Tessy was elevated to the rank of "Her Royal Highness Princess Tessy of Luxembourg (* and the titles that go along with it)" in 2009. The House Law was introduced three years later. So, without knowing the exact wording of the decree creating her a Princess, you can't be entirely sure if the House Law actually is applicable to her case. There were a few instances - gender neutral succession, anyone? - in which the cour specifically stated that the House Law would not be applied retroactively. So it is questionable if it will be in the case of Princess Tessy's future title and style as the current ones were created prior to the introduction of the House Law. If a decree actually exists somewhere and specifically mentions "Tessy de Nassau" being created "HRH Princess Tessy of Luxembourg etc." yet fails to mention the event of a divorce and what happens to her title in said event, one could make a serious case, that Tessy can actually keep her title. (Assuming that the decree is countersigned.) Looking back at the decrees of 1995 and 2004, both included a stipulation about divorces et al and what happens with titles and styles in the case it does happen. For example, Article 4 of the 1995 decree reads as following, "In case of separation from the spouses, in case of divorce, in case of remarriage after death, the titles conferred to the spouses of the Princes of Our House by virtue of the present decree are lost." It is by this stipulation that Countess Hélène of Nassau, first wife of Prince Jean, reverted to her maiden name Hélène Vestur after her divorce. And despite all what we just wrote, we would still assume that the case of Princess Tessy will be handled in the same way, unless otherwise stated by the cour grand-ducale. You could even make the case that one part of the 2012 House Law was written with Princess Tessy specifically in mind. Article 4b says, "In case of a legal separation, a divorce or remarriage after death, the wives lose the style and title conferred upon them." Tessy's title isn't based on the House Law, according to which she would also be a Countess of Nassau (while her husband could have kept his title as Prince of Luxembourg, in difference to the 1995 decree). Rather it is based on a (non-existent?) decree, so in her case it has been an actual "conferral of the title" instead of under the rights of another part of the same Article saying that "the members of the Grand Ducal House and the Grand Ducal Family, in all their official and private functions which may concern them, bear [...], those who conducted a marriage without the consent of the Head of the House, the family name "zu Nassau" ("de Nassau") as well as their previous title. The wives and legitimate offspring of this marriage bear their first name and the family name "zu Nassau" ("de Nassau") as well as the title Count or Countess of Nassau." As you can see, you can make many cases on this matter. The most likely one, following precedent, is that Princess Tessy will soon be known as "Tessy Antony" again. In Luxembourg, a woman who is part of a mutual consent (no-fault) divorce cannot retain her husband's surname without his consent. Yet you can also see that there are many twists and turns in this explanation and the way the Grand Ducal Family has handled these matters in the past, so you never really know. One thing is for sure though, Princess Tessy has been a real asset to the family and we hope that she continues to very much be a part of the family no matter what the future and the title question holds, much as it has been the case with Hélène Vestur. Princess Tessy apparently released a statement to some media today concerning her divorce from Prince Louis also announced by the cour grand-ducale. She said, "I am very sad to confirm that Louis and I are getting divorced after 12 years together. Despite our separation, we will always remain unified by parenthood to our two precious boys. It is extremely sad for both of us to realise that we will walk separate life paths from now on. In these challenging times, I ask for privacy for both of us and especially the privacy of our children to be respected. No further comment will be given at this stage." Grand Duke Henri and Grand Duchess Maria Teresa cancelled an engagement on Thursday night due to health reasons. They were scheduled to attend an event for Luxembourgers and refugees to have a meal together organised by the city of Luxembourg together with the associations "Passerell" and "Reech eng Hand". Sounds like Their Royal Highnesses came down with a cold or something - here's wishing a speedy recovery to the couple! On February 13, Hereditary Grand Duke Guillaume and Hereditary Grand Duchess Stéphanie will head a Luxembourg for Finance delegation, led by the Minister of Finance Pierre Gramegna, to Dubai, United Arab Emirates. They are scheduled to attend a seminar entitled "Luxembourg and UAE: Partners in Global Finance" organised in cooperation with the Dubai International Financial Centre Authority. 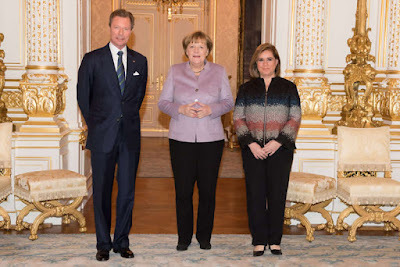 After the public photocall of the reception of German Chancellor Angela Merkel at the palais grand-ducal was over yesterday, an additional member of the Grand Ducal Family met the German head of government: Grand Duke Jean. It's nice to see His Royal Highness back in action after suffering from ill health and subsequently being hospitalised over Christmas. A belated happy 96th birthday, Monseigneur! 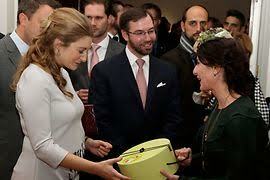 Members of the Princely Family hosted not one but two New Year's reception for some 500 guests at Schloss Vaduz yesterday. Prince Hans-Adam II and Princess Marie, Hereditary Prince Alois and Hereditary Princess Sophie, as well as Prince Nikolaus and Princess Margaretha first welcomed the diplomatic corps at the family's residence. They later also received members of parliament, the presiding members of government and justice, mayors of the municipalities, people who have princely titles (Princely Councillor, Princely Court Councillor, Princely Justice Councillor, Princely Education Councillor, Princely Commerce Councillor and Princely Spiritual Councillor) or were awarded the Order of Merit, the highest public officials, and representatives of associations and organisations, political parties and public life. Vaterland has an extensive gallery of the event. Princess Marie-Gabrielle of Nassau, oldest child and only daughter of Prince Jean and his former wife Hélène Vestur, recently got engaged to her boyfriend Antonius Willms. The couple lives in Munich, Germany, and plans to get married in Spain. 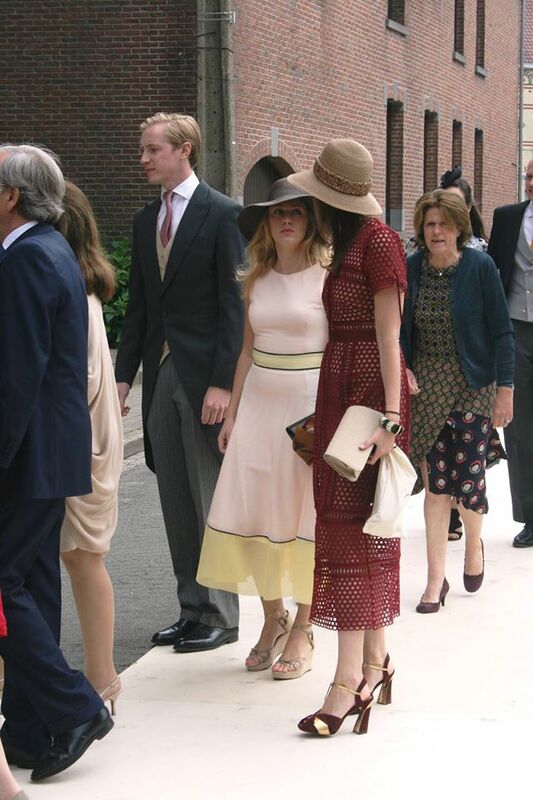 Marie-Gabrielle and her future husband attended the wedding of Princess Alix de Ligne and Count Guillaume de Dampierre together last year. Princess Marie-Gabrielle was born on September 8, 1986, in Paris, France. Antonius Willms is the son of Hayo Willms and Countess Maria Theresia of Goess-Saurau. He was born in Atlanta, Georgia, United States on December 22, 1988. Yesterday, Grand Duke Henri and Grand Duchess Maria Teresa received German Chancellor Angela Merkel at the Palais Grand-Ducal. Ms. Merkel was making a brief visit to Luxembourg on her way to Belgium. The Chancellor also met with Prime Minister Xavier Bettel and other members of the government. They held discussions on a wide array of topics including: border security, migrants, road tolls, Brexit and corporate taxation. The visit wrapped up with a luncheon at the Museum of Modern ARt Grand-Duc Jean (MUDAM). On the evening of the 11th, Grand Duke Henri and Hereditary Grand Duke Guillaume attended a performance from the Orchestre Philharmonique du Luxembourg (OPL) under the direction of violinist Julian Rachlin. The event included pieces from a number of composers, including Rossini, Strauss, and Tchaikovsky, among others. The Grand Duke and the Grand Duchess are both patrons of OPL. On Wednesday the 11th, the members of the Grand Ducal Family held the second New Year's reception for 2017. This event welcomed the members of the Bureau du Conseil d'Etat and representatives of the Autorités Nationales. 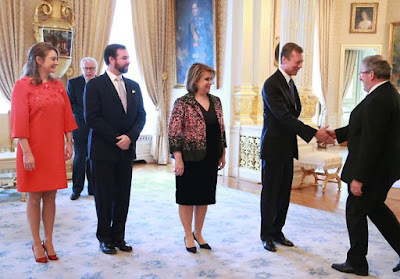 After this, the Grand Ducal couple and the Hereditary Grand Ducal couple received the members of the Diplomatic Corps currently residing in Luxembourg and the representatives of European institutions, as well as members of the Grand Ducal House. Any further photo links will be added when made available. On the 10th, Grand Duke Henri sent a letter of condolence to the current German President Joachim Gauck at the passing of former President Roman Herzog. Herzog served as President from 1994 to 1999 and had previously served as a judge on the Federal Constitutional Court (Bundesverfassungsgericht) and then later as president of the Court. Gemeinsam mit der Großherzogin möchte ich Ihnen hiermit mein tief empfundenes Beileid anlässlich des Todes von Altpräsident Roman Herzog ausdrücken. Seinen Besuch in Luxemburg 1994 behalten wir in guter Erinnerung. Wir möchten Sie bitten, den Angehörigen in unseren Namen unser Mitgefühl auszusprechen. 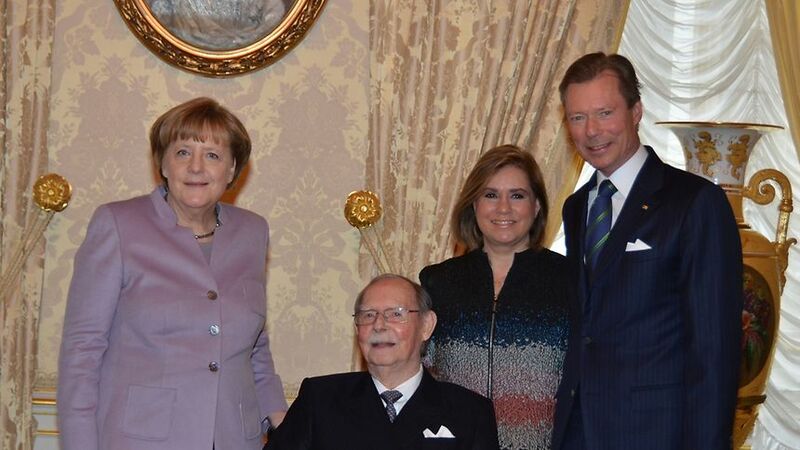 Together with the Grand Duchess, I would like to express my heartfelt condolences on the occasion of the death of former President Roman Herzog. His visit to Luxembourg in 1994 we remember well. We would like to ask you to express our compassion to the relatives in our name. 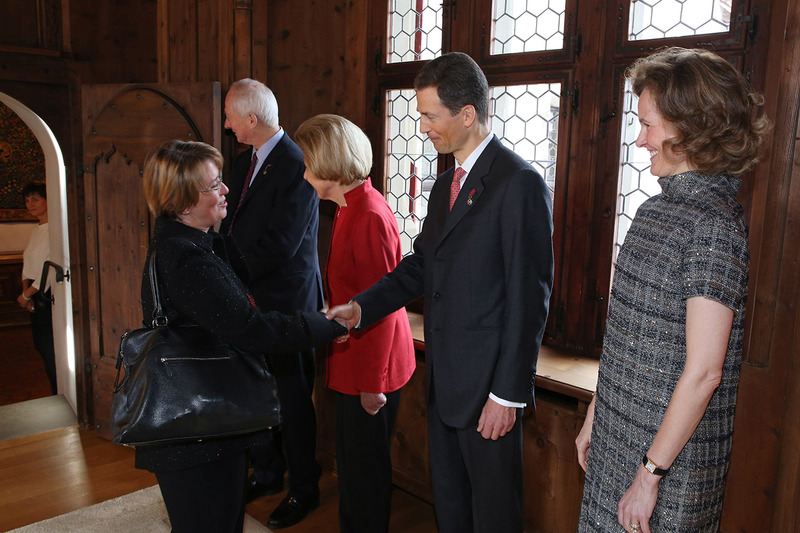 On the 10th, members of the Grand Ducal family welcomed representatives from the Luxembourg government for the first of two New Year's receptions for 2017. (The second will occur on the 11th.) 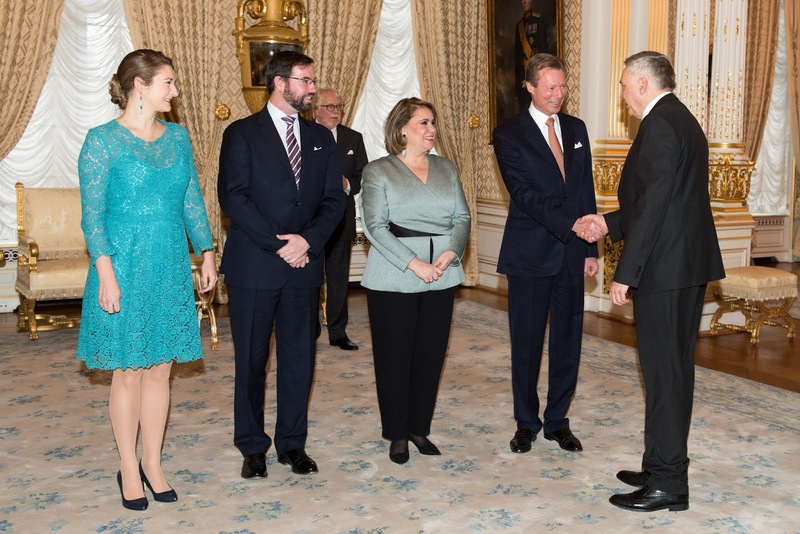 Grand Duke Henri, Grand Duchess Maria Teresa, Hereditary Grand Duke Guillaume, and Hereditary Grand Duchess Stéphanie were there to greet guests at the Palais grand-ducal. Many great photos from Wort and the Cour website. 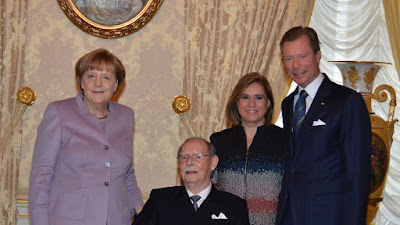 On Monday, Grand Duke Henri sent a letter of condolence to the President of Portugal, honoring the late President Mário Soares who died on January 7th. Soares was President of Portugal from 1986 to 1996 and had previously served as Prime Minister from 1976-1978 and then from 1983-1985. 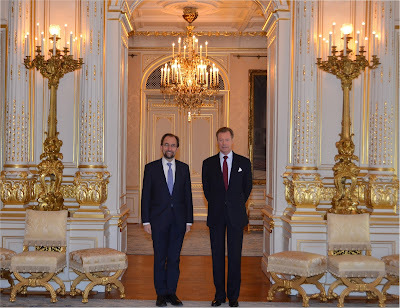 Luxembourg has historically strong ties to Portugal, as evidenced by the letter sent from the Grand Duke to the President earlier this year. Additionally, Grand Duchess Maria Ana was born into the royal family of Portugal. La Grande-Duchesse et moi vous adressons nos plus sincères condoléances à l’occasion de la disparition de l’ancien Président Monsieur Mario Soares. En Monsieur Soares, nous rendons hommage à une personnalité qui a marqué de son empreinte l’histoire de son pays, à la fois comme homme d’État et comme fervent Européen. Nous nous souvenons également avec émotion de l’ami engagé du Luxembourg. Nous vous serions très reconnaissants si vous vouliez bien vous faire l’interprète auprès de la famille de Monsieur Soares de toute notre compassion. The Grand Duchess and I send you our deepest condolences on the occasion of the loss of former President Mario Soares. In Mr Soares, we pay tribute to a personality who has left his mark on the history of his country, both as a statesman and as a fervent European. We also remember with emotion the committed friend of Luxembourg. We would be very grateful if you would share with Mr. Soares' family all our compassion. During the past year, Princess Tessy wore gowns and dresses by Marcin Lobacz for various occasions both in Luxembourg and abroad - and you obviously liked it voting her tiara appearance on National Day as your favourite gala appearance of the year by quite a margin. High time to have a closer look at Marcin Lobacz - and who better to tell us more about his creations and what inspires him than the London-based designer himself?! 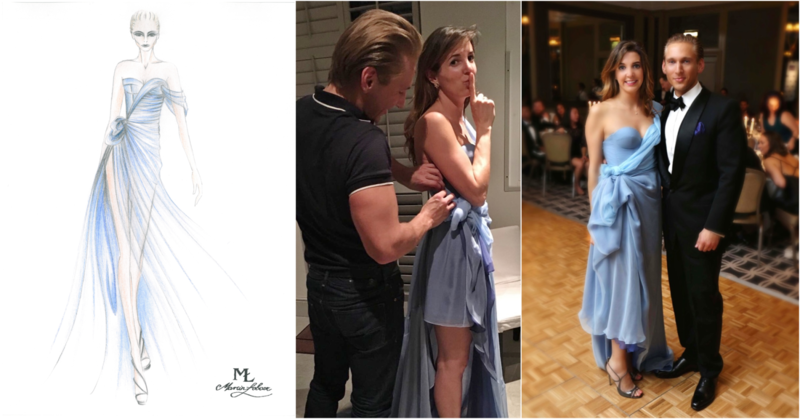 Enjoy our interview with the man behind the dresses and a major thank you to Marcin for taking the time for giving us such an interesting and inspirational insight into his work! From her gown for the national day gala to the black dress she wore when meeting Pope Francis, you have created some of the best known looks of Princess Tessy in 2016. Can you tell us if you have a personal favourite among the dresses? Marcin Lobacz: My dresses are my babies, every single one is special to me in a different way, hence it is difficult to pick my personal favourite. However, the fact remains that the creation which made the greatest impact all over the world was the famous Couture Gown in Turquoise and Orange, Nassau Colours, worn by Princess Tessy at the gala of the Luxembourgish National Day and in celebration of her 10th wedding anniversary. It took its starting point from the quote by Sir Cecil Beaton, one of the most celebrated British Portrait Photographers of the Twentieth Century, Diarist and Renaissance Man renowned for his love of elegance, glamour and style: "More varied than any landscape was the landscape in the sky, with islands of gold and silver, peninsulas of apricot and rose against a background of many shades of turquoise and azure." 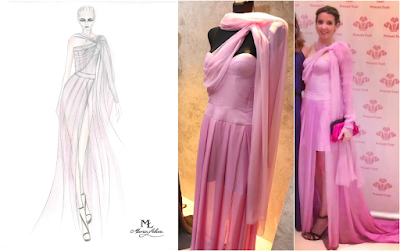 It was also the dress spotted by His Excellency Shaikh Rashid Bin Khalifa Al Khalifa of Bahrain, who invited me to exhibit it during his Royal Global Artistic Forum at The Ritz-Carlton Dubai International Financial Centre, which was the reason of my trip with Princess Tessy to attend the event in Dubai. The Gown was on display in "The significance of Court Dress" section of the exhibition next to the gown from The Dutch Royal Court. How did you first meet Princess Tessy? Princess Tessy and Prince Louis were the Guests of Honour at my Private Event in the heart of Mayfair; Couture Showroom Presentation „In Your Wildest Dreams” - the Fashion Journey through London, St. Tropez and Panama in The Clarendon Room at Brown’s Hotel in London, celebrating my namesday, the feast day of Saint Martin of Tours, on the 11th of November 2015. Please talk us through the process of creating a dress for Princess Tessy, is she very involved or does she give you a carte blanche? It varies depending on the circumstances, occasion and time frames, which are usually very tight and unpredictable. For instance, while I was designing the Custom Waterfall Cape Dress in Onyx Black especially for Princess Tessy to wear during a private audience of Luxembourg’s Royal Family with His Holiness Pope Francis in Vatican City or the Custom Emerald and Sapphire Chiffon Cocktail Dress for the meeting with Her Majesty the Queen at Buckingham Palace, formal requirements were my number one priority. I wanted both dresses to look very modest, subtle and understated; conservative and modern at the same time, which required an accumulative number of hours working on hand draping and real craftsmanship while finishing. In my opinion, elegant means appropriate for the occasion in the first place. I never reject my signature style though – a designer’s role is to work well to the brief and find methods to present his vision in the right way. Coming back to the gown for the National Day, Princess Tessy hand-picked the style in one of her favourite colours from my Couture collection. 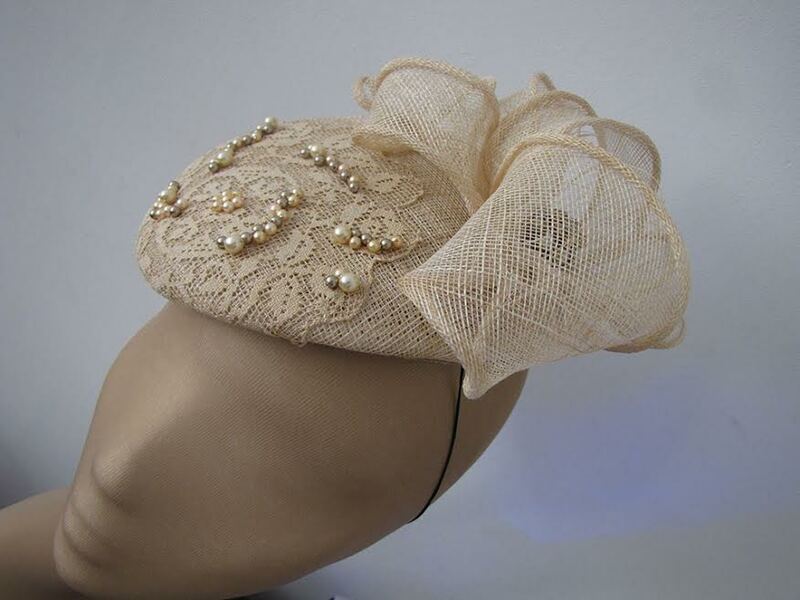 Sophisticated, understated elegance of the look immediately attracted her attention as the ideal creation for the most important day in the Luxembourgish Royal Calendar. The outfit was bespoked especially for her, having been customized to meet personal requirements and preference regarding the shape of cleavage and the length. Exquisite family jewellery was personally chosen by H.R.H. 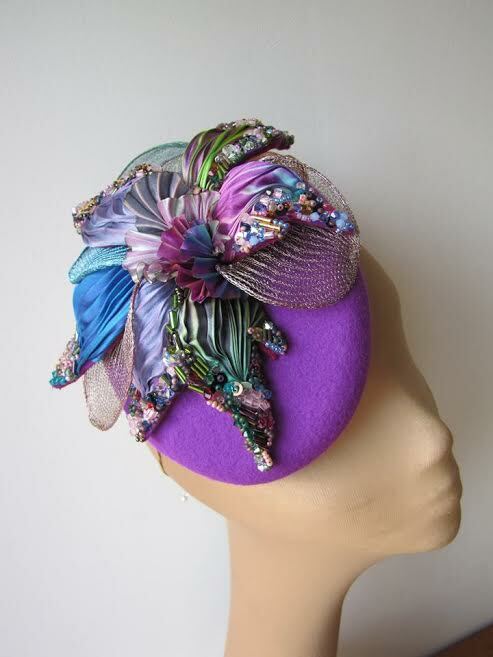 the Grand Duchess of Luxembourg to match my design and in accordance with Princess Tessy’s wish to put emphasis on the clean minimalistic line of the dress silhouette by juxtaposing it with more elaborate Art Nouveau tiara as well as Art Deco earrings and bracelet encrusted with precious stones reflecting the overall colour palette. There are also situations, when ready styles from the collection work really well for the particular event without any amendments, which was the case when Princess Tessy wore my Moonstone Gown for the Diplomatic Black&White Charity Ball 2016, Amethyst Gown for the Big Dutch Masters Gala and Rhodochrosite Gown for the Prince’s Trust Gala Dinner with The Prince of Wales, all those styles come from my brand new Couture collection for Spring-Summer 2017. I wouldn’t be able to live, nor create, without music. The world of sounds inspires thoughts, images of colors, texture and shapes, which can then become the starting point for my collection. Mother Nature is my real muse; flowers, animals, the sunset sky... all elements, even the scent or a simple gesture have the power to influence what I design to a great degree, provided the initial interest leads to some real emotion. There is nothing stronger than the truth and first-hand experience. Particular inspiration depends on the collection but it is always about women for whom I design and their dreams. I observe women and that is where my vision comes from- who they are, what perfume they wear, how they live, what they dream of… unveiling part of their mystery. I would like to accentuate a woman’s individual personality and make her feel as if she were born in my creations. Also the fabric that I decide to use might be an inspiration. One idea sparks the next. The process of creation should never be preconceived. I find it very important to remain open and let it go, let the research carry you through the journey, without trying too hard. In this way idea development is more thorough and the result remains fresh. Searching for inspiration is very parallel to music– I used to play the piano and now my material is like notes. If you are sensitive enough, able to read and listen, they tell you exactly how to play. Then it is just a matter of interpretation. 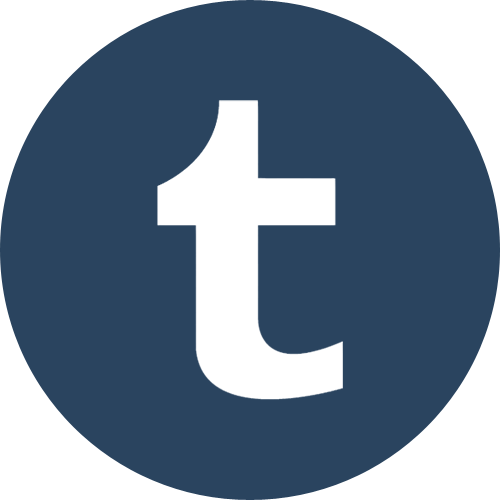 What was it that sparked your initial interest in fashion? And what made you take fashion more seriously and make a career out of it? I grew up in the Opera and Musical Theatre where my Mother performed as a Soprano and I was lucky to be surrounded by the magical world of wonderful classical music, fabulous costumes and the appreciation for Arts. I have always loved drawing and what I was illustrating, even as a child, revolved around women and what they wear. I think the Theatre was the best environment for my natural passion to grow. I chose it as a professional pathway very early and I started working in the fashion industry before my formal education in this area so everything happened the other way round. When I was still at the gymnasium, I decided to design and make a capsule collection, which was followed by my first catwalk show at the age of 15. Then I produced the next collection and at 17, my first clients appeared: The opera singers, who sang at the Metropolitan Opera in New York, The Royal Opera House in London and The Deutsche Oper in Berlin. I started my formal fashion education only after I had passed my Baccalaureate. 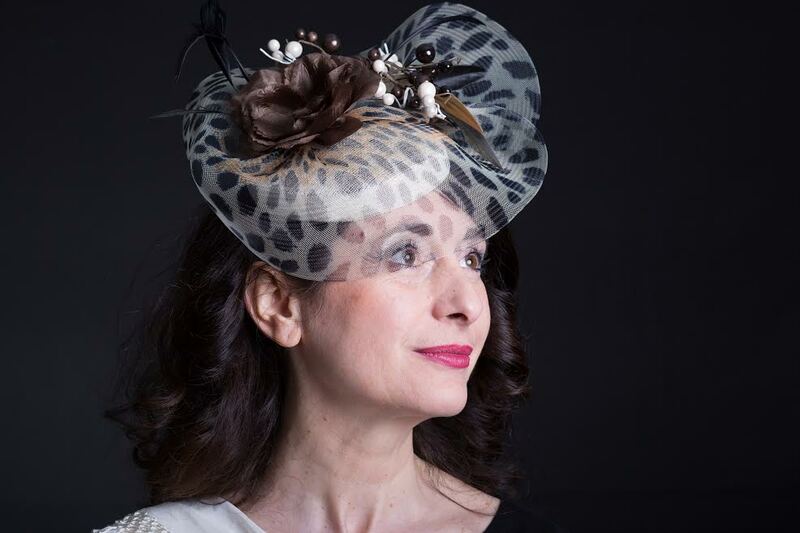 I have always been fascinated by the old school techniques and the heritage of Haute Couture so I was taking relevant courses, which developed my pattern making, sewing as well as millinery skills, hence my background is very much in the field of Bespoke wardrobe. I moved to London in pursuit of my dream to study at Central Saint Martin’s College of Art and Design. Simultaneously, I got the chance to broaden my experience at Julien Macdonald and Philip Treacy, with whom I had the pleasure to work on projects for Armani Prive, Alexander McQueen and Givenchy, both ready to wear and Haute Couture. I graduated in 2012 and decided to carry on developing my own label based in London. Effortless Glamour and Elegance - those are my three core brand values. If you could have lunch with five fashion icons and/or designers of the past and present, who would you invite? Monsieur St Laurent has always been my Hero. No other designer contributed to the history of fashion so much. He gave women not only the greatest amount of key items in their wardrobe but also showed them how to use their power to compete with men on every possible level. He was a Genius and I could speak endlessly but words seem too shallow to reflect his great influence on me and my life. The legacy he left, speaks for itself and that is the biggest achievement of the Designer. Coco Chanel is another Style Guru for whom I have never ending respect. There would be so many questions that her patience might be challenged! She was so brave and unapologetic, turned the world of fashion upside down with her effortless casual elegance, completely different to what was considered elegant back then. Such act requires charisma, determination, strength and personality. I would certainly have many synergies to discuss with Madeleine Vionnet. “The Queen of bias-cut”, just like Chanel, moved away from stiff constructions towards much softer, dynamic look, moving with the wearer, so close to my own ideal of beauty. I use a lot of bias-cut in my dresses - a technique, which involves many secrets and requires years of experience to master so a lunch with such an expert Couturier would be invaluable. I have always admired Lee Alexander McQueen and he was one of the reasons why I decided to pursue my dream of studying at Central Saint Martin’s College of Art and Design. His sharp tailoring, innovative construction, dark aesthetic and fierce decadence still fascinate me. He was a real Artist. Last but not least, Erte and his universe of exotic extravagance, appreciation for beauty of the human body, magical stage design and elegance of Art Deco illustrations, which next to Art Nouveau, is my favourite period in the history of Art. I love the sensitivity behind his work as well as its theatrical romantic mood, so dear to my heart because of my own background. The new year is just around the corner: What are your (fashion) goals for 2017? Thank you for the interview, Marcin! If you would like to learn more about Marcin Lobacz and his designs, make sure to visit his website and follow him on Facebook, Twitter (@MarcinLobacz) and Instagram (@marcinlobaczdesigner). Grand Duke Jean has left the hospital this morning and is back home at the Château de Fischbach, where he will celebrate his 96th birthday together with his family tomorrow. Grand Duke Jean was hospitalised over Christmas for a bronchitis. According to a statement by the Court Marshal, the former Grand Duke has fully recovered. The leading ladies of Luxembourg brought us two tiara appearances this year each. 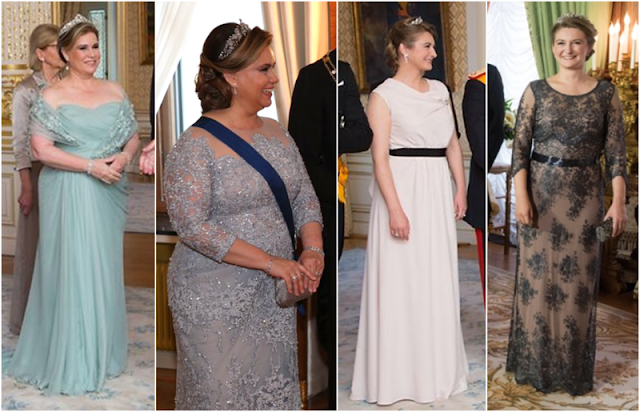 From left to right: Grand Duchess Maria Teresa in a repeated Elie Saab and the Belgian Scroll Tiara for national day; Grand Duchess Maria Teresa in Elie Saab - she remains my kinda girl! - and the Diamond Vine Leaves Tiara for the state visit to Finland; Hereditary Grand Duchess Stéphanie in Paule Ka and her own Diamond Butterfly Tiara for national day; and Hereditary Grand Duchess Stéphanie in Phase Eight and the Diamond Vine Leaves Tiara for the state visit from Romania. And now it's onto you once again: Cast the vote for your favourite appearance of the past year below until January 6. Have fun! Which is your favourite gala appearance of 2016?